The Chevillotte LE 150 is a slate bed pool table originating from France - a collaboration with architect and designer Eric Raffy. Chevillotte is known for making superb quality products with classic looks and innovative features; the LE 150 fits into the brand vision perfectly. With its architectural influences and clever cranked system, it's a table that will become a talking point in the home. The LE 150 blends old and new influences: the antique and the ultra-modern. The table top is made from wood, yet the uniquely shaped legs are made from metal. This brave combination is eye-catching, yet the game you play on this table is as comfortable and smooth as it is on any of the Chevillotte slate bed models. We recommend the LE 150 for experienced players looking for something a little bit different. Its elegant, slimline silhouette make it an attractive piece of furniture for the home or office, and the slate bed ensures there's no compromise to your enjoyment of the game. Chevillotte makes this table in a range of different finishes to complement your interior or venue. Celebrate 150 years of Chevillotte with the LE 150, and enjoy superb performance from the Simonis cloth, along with the breathtaking feel that only a top quality, solid wood table can offer. The Chevillotte Le 150 is available in British and American sizes, depending on your preference. Metallic, Brilliant or Matte Lacquer - A stunning lacquer can be added to your table. Please see the below RAL colour chart, which gives you over 150 colours to choose from. Please quote the RAL number when you place your order. The Chevillotte Le 150 uses only the best Simonis cloth that is guaranteed to last for years to come. Manufactured in Verviers, Belgium, every cloth made goes through a 13 step process to ensure it is perfect, before being allowed to grace the market. Used in the majority of professional tournaments, Simonis cloth is renowned for its ability to prevent itself from pilling or fluffing. Its durability is what provides it with such an outstanding reputation, with this cloth you can be sure it will not need replacing for many years. If you are purchasing an American Pool Table, please select from the 22 varieties of cloth listed below. 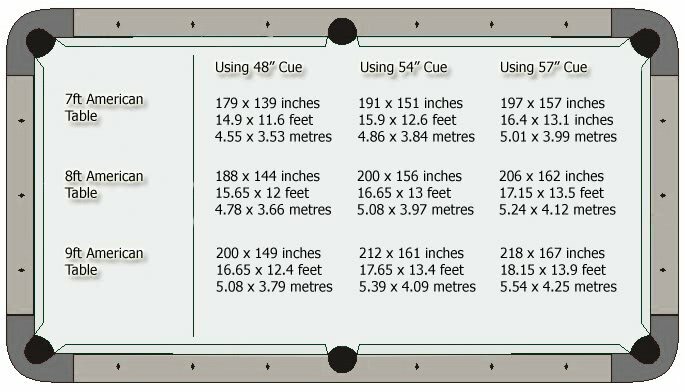 If you are purchasing an English Pool Table, it is clothed in Simonis 4000 cloth in English Green ONLY.